Quality wise I am definitely impressed as the lipstick feels so creamy and moisturising on my lips and isn't drying at all. As with a lot of lipsticks though this doesn't have much staying power - I'd say it lasts about two to three hours before you have to reapply but for me that's pretty normal. It's definitely convinced me that I need to buy another Topshop lipstick as the quality is great for the price, so will definitely be the next thing I get when I do another beauty splurge. All in all I really love this lipstick, and although it's a hard colour to wear, I will definitely be using it when I'm wearing some of my prettier/girlier clothes. Thanks for reading lovelies! Have you tried a Topshop lipstick? The colour is so pretty! And the packaging is super cute ❤️😍. I'll try out Topshop lipsticks when I get a chance! That shade looks really pretty and TopShop lipsticks generally received great reviews. You're way ahead of me on beauty products from TopShop, I never tried anything from them! LOL! Haha I'm surprised you haven't actually because you're always trying so much beauty, definitely worth a go! I've definitely warmed to Barbie pinks lately, great pick for finishing off the summer days with this little gem! Thanks Hannah and me too! Yeah it's such a lovely colour! I have never tried a top shop lipstick but they do look really good. They seem to have a good colour range too which rimmel kind of lack. Yeah Rimmel are great quality but like you say not the best range of colours! Lovely shade! And the packaging is so pretty!! 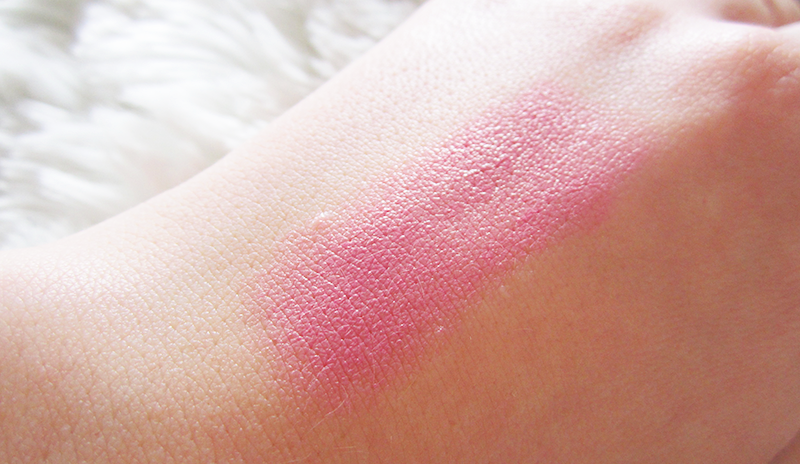 This colour is so pretty, I'm yet to try out Topshop's lipsticks, I never know what colour to try first! Haha yeah it took me ages to decide what colour I wanted!